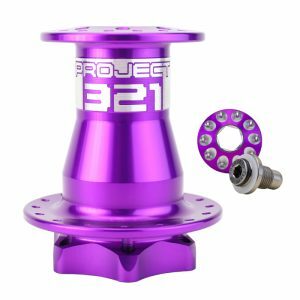 Did you know that Project 321 was the first to manufacture an adapter for Leftys? Owner and lead designer, Jake Liles believed that the Lefty was superior to many other forks on the market at the time. He wanted the stiffness, strength and weight savings of a Lefty on his Giant AC but due to the larger head tube size that Cannondale designed the Lefty to fit, this was impossible. Temporarily impossible, at least. Jake decided to make this happen for himself not knowing he was becoming the leader of a movement that includes Cannondale now producing their own ‘Lefty For All’ adapter. This adapter allows use of a 2.0 or Supermax Lefty on a non-Cannondale frame with a tapered head tube. 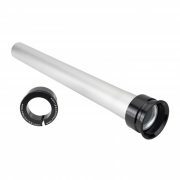 Collars are CNC machined here in the USA and the steerer tube is forged for additional strength. Bottom collar comes pressed onto steerer and is not adjustable. Top collar is adjustable and moves easily up and down the steerer until it is installed. Weight before steerer tube is cut is 217g (weight will vary drastically due to the varying clamp spacing of the Lefty). Allows use of a 2.0 / Supermax Lefty on frames with tapered head tubes (1.125”x1.5”). This adapter is 275mm (10.83”) from the crown race up before it is cut. 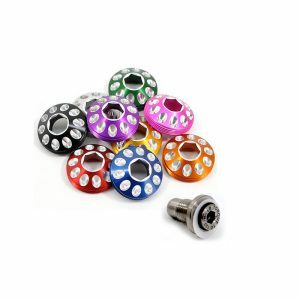 Includes a red split-ring that is designed to expand into the lower headset’s crown race. Stack height max is up to 138mm depending on the Lefty. See stack height description page for information on how to measure your stack height. Spacers may be needed to complete your specific build. These should be available at your local bike shop. NOTE: Our Tapered Adapter is not actually tapered. A true tapered steerer was not an option due to dimensional restraints from the Lefty lower crown. No problem though, we came up with a nice little solution that works perfectly with a tapered headset. And since the Lefty is really a double crown strut there is no real advantage to a tapered steerer anyway. Which frames will this adapter work on? This adapter works on non-Cannondale frames that have a tapered head tube. Please make sure that your stack height will fit with your Lefty and frame. How to measure your stack height. Which Leftys can be used with this adapter? How long is the steerer tube? This adapter is 275mm (10.83”) before it is cut from the crown race up. 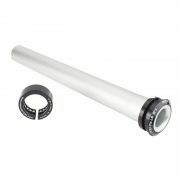 How do I cut the steerer tube? As the saying goes: Measure twice and cut once! Determine your cut length (which is based on your stack height) then make the cut. You can use a hacksaw to cut, we recommend that it have a saw guide to hold the steerer tube. Can this adapter be used on a frame with a 1-1/8” head tube? No, this adapter cannot be used on a 1-1/8” head tube. For 1-1/8” head tubes you would need our 1-1/8” Straight 2.0 / Supermax Adapter. Can I turn this into a 1-1/8” adapter by just removing the red split ring? No, unfortunately you cannot. 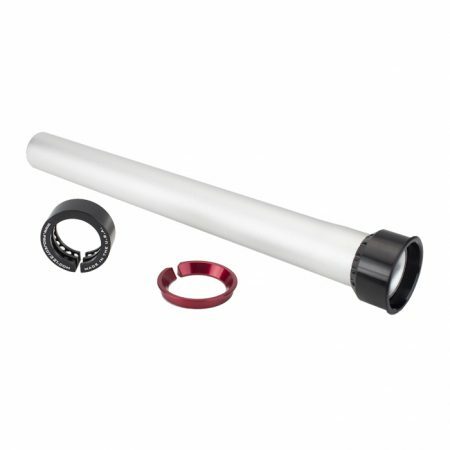 This adapter and the 1-1/8” adapter have a completely different bottom collar and a 1-1/8” adapter needs to be purchased for use with a 1-1/8” headtube. Can this adapter be used with a 1.0 or Booted Lefty? No, this adapter is only for 2.0 / Supermax Leftys. For 1.0 or Booted Leftys you would need our Tapered 1.0 Lefty Adapter.